There have been several proposals to send people to Mars but not land them on the surface. Instead, they would either fly by Mars once and return to Earth, or orbit Mars for a period of time. Would they at least get spectacular naked-eye views of the Martian surface? Some parts of Mars would be interesting: for example the polar ice caps, and the bright (dust-covered) regions would be seen reasonably well, although the color is very uniform. 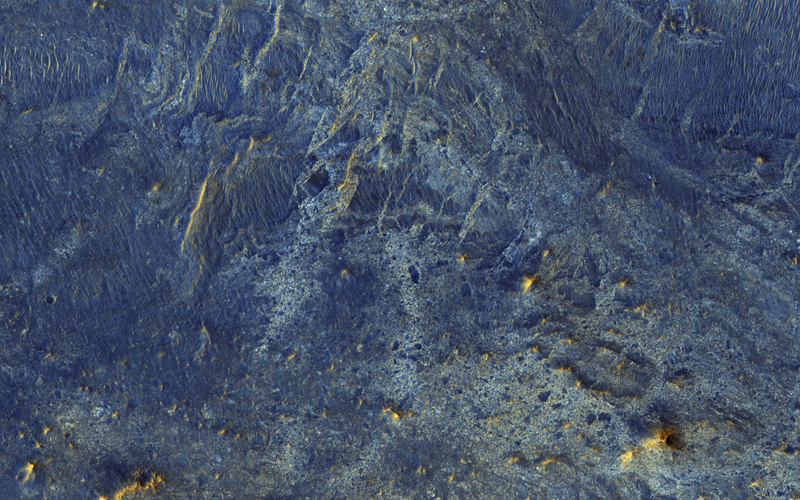 The dark (low reflectance) regions of Mars are some of the most interesting and important regions studied by our orbiters and rovers, but they would appear very bland to humans outside of the planet's atmosphere. This is because the thin atmosphere of Mars is quite bright and dusty, so when looking at dark surface areas, most of what you would see is scattered light from the atmospheric dust, and the surface would have a very low contrast. It would also appear reddish, even if the surface materials are not reddish, from the scattered light. 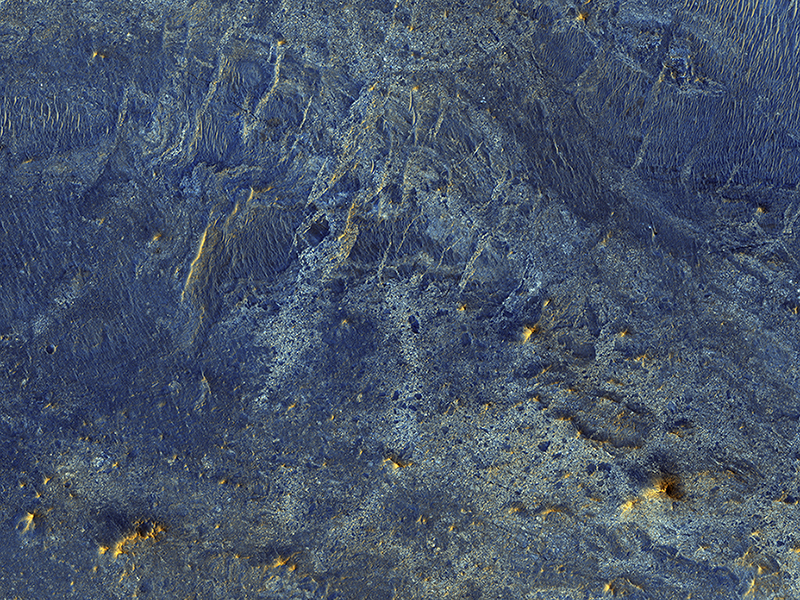 Here is an example from the Nili Patera region of Mars, a candidate future landing site. At the top is an approximation of the natural color as seen by people with normal color vision--almost no surface detail is visible. In the middle is the standard HiRISE IRB color product, consisting of the infrared, red, and blue-green images displayed as red, green, and blue, respectively, and with a min-max stretch applied to each color. In other words, the darkest pixel in the entire image is set to black, the brightest pixel is set to white, and all others are linearly interpolated. 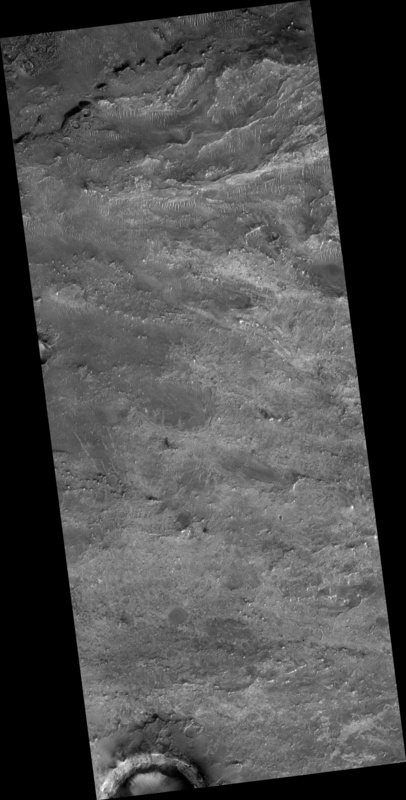 At bottom is an enhanced color product, in which each bandpass is given a linear stretch for the local subimage, sometimes saturating a small percentage of data to black or white to give the rest of the scene more contrast, followed by color saturation enhancement. Now we can see a diversity of colors that distinguish different surface units: dust, sand, and rocks with different minerals. This is a stereo pair with PSP_007556_2010.